That looks like the perfect little black dress! Love the outfit! 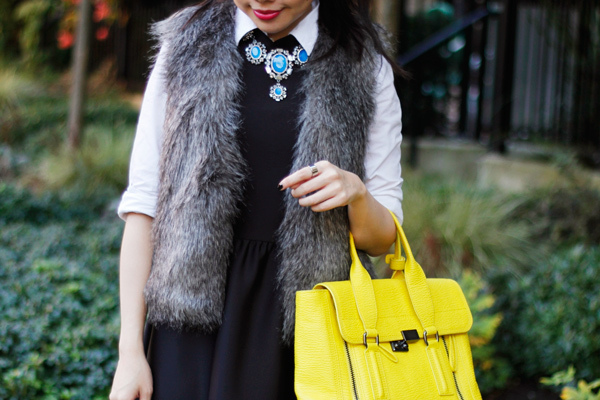 Very classy and elegant, the fur gilet gives such a statement look. That dress is so adorable! The fabric looks so luxe and I love the cut on you! I can’t believe we’re breaking out fur & tights already – where did the summer go?! That said, this is a gorgeous outfit! Hope things are well m’dear! xo! Ooh, it’s that time of the year when the faux fur gillet comes out again!